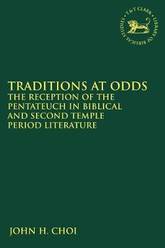 Traditions at Odds explores the Pentateuch's literary influence on other biblical texts. 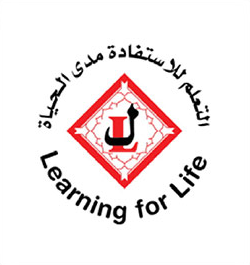 There exist a number of content discrepancies between pentateuchal and non-pentateuchal texts that treat the same subject. Through a detailed analysis, the author argues that the discrepancies are not alterations of pentateuchal material, as is generally argued, but rather indications of independent traditions. 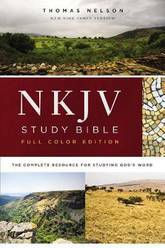 Thus, much of biblical literature was written outside of the Pentateuch's purview. Corroborating evidence is found in literature from the Second Temple Period, which also exhibits a lack of conformity to the Pentateuch. After demonstrating this independence, this study explores its implications on the composition of biblical texts and the process of canonization. 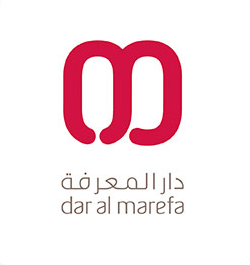 Marked by an interdisciplinary approach, the study incorporates recent theoretical developments in literary and ideological criticism, as well as ritual, historiography and textual citation. It not only provides a broader base of study, but serves to address a deficiency in biblical studies: most studies of intertextuality operate with little theoretical grounding, while studies in ritual or historiography are based on models from the late 19th/early 20th centuries. The Literary Coherence of the Book of Micah puts forth a framework to understand the nature of literary coherence. 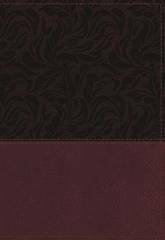 This enables an analysis of the sources and dimensions of the coherence found in the book of Micah by the primary scholarly proposals for understanding the structure and connectedness of the whole book. 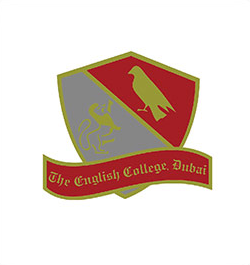 Each of these proposals ultimately fails to account for all the features found in the text. 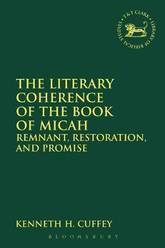 The author then explains a new reading of the final form of the text of Micah, based on the placement of the references concerning the remnant.  A brief exposition of the text as a canonical whole indicates the flow and development in the final form of the book. The framework formulated earlier provides a basis to evaluate the coherence that this understanding of the book of Micah uncovers and to show that this means of reading the canonical book best accounts for the greatest number of features in the text. A timely and groundbreaking take on the roots of the Christian church and its place in the entirety of God's kingdom. . . . There is no better time than now to learn about and become firmly grounded within your spiritual heritage. -from the foreword by Perry Stone The early church was made up of Jewish and Gentile followers of Jesus, and the church's culture was rooted in Judaism and a Jewish understanding of God's relationship to His people. Over time, however, Christianity became increasingly more Roman than Jewish, and the church lost its identity. Rabbi Curt Landry's personal story is remarkably similar. Born to a Jewish mother and a Catholic father, Landry was put up for adoption, and for more than thirty years he had no understanding of his heritage, his roots, or who his parents were. But when he discovered the truth of his story, his life changed completely. The key to a life of power and purpose is understanding who you are. In this revelatory book, Curt Landry helps Christians discover their roots in Judaism, empowering them to walk in the revelation of who they really are and who they are born to be. 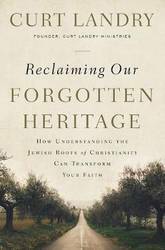 Reclaiming Our Forgotten Heritage reveals the mysteries of the church, letting Christians grasp the power that comes from connecting with their true identity. 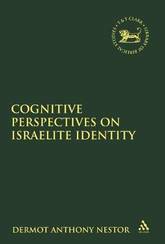 Cognitive Perspectives on Israelite Identity breaks new ground in the study of ethnic identity in the ancient world through the articulation of an explicitly cognitive perspective. In presenting a view of ethnicity as an epistemological rather than an ontological entity, this work seeks to correct the pronounced tendency towards `analytical groupism' in the academic literature. Challenging what Pierre Bourdieu has called `our primary inclination to think the world in a substantialist manner,' this study seeks to break with the vernacular categories and `commonsense primordialisms' encoded within the Biblical texts, whilst at the same time accounting for their tenacious hold on our social and political imagination. It is the recognition of the performative and reifying potential of these categories of ethno-political practice that disqualifies their appropriation as categories of social analysis. 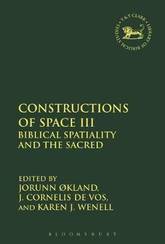 Constructions of Space III engages with the great variety of sacred spaces set out and given meaning in the texts of the Hebrew Bible, early Jewish literature and the New Testament. Spatial-critical, as well as anthropological, philosophical and narrative perspectives are interacted with in creative ways and brought to bear on the spaces encountered within the texts. Among the concepts and themes explored are oppositional aspects such as holiness and danger/the profane, fear and hope, utopia and dystopia, and purity and impurity. The social and mythological significance of more 'grounded' places such as Jerusalem and Egypt, temples, burial places and threshing floors is considered alongside more ethereal and symbolic spaces like those of heaven, the last judgement and the kingdom of God. What emerges is a dynamic and lively set of perspectives that illuminates relationships between texts, spaces and communities. How might late second/early third century readings of Paul illuminate our understanding of the first century texts? 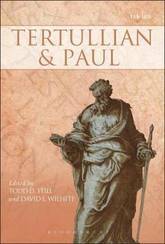 A close comparison of Tertullian and Paul reveals the former to be both a dubious and a profoundly insightful interpreter of the latter. With growing interest in the field of patristic exegesis, there is a need for examination of Tertullian's readings of Paul. Tertullian, the first among the significant Latin writers, shaped generations of Christians by providing both a vocabulary for and an exposition of elemental Christian doctrines, wherein he relied heavily on Pauline texts and appropriated them for his own use. This new collection of essays presents a collaborative attempt to understand, critique, and appreciate one of the earliest and most influential interpreters of Paul, and thereby better understand and appreciate both the dynamic event of early patristic exegesis and the Pauline texts themselves. Each chapter takes a two pronged approach, beginning with a patristic scholar considering the topic at hand, before a New Testament response. 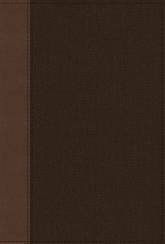 This results in a fast paced and illuminating interdisciplinary volume. 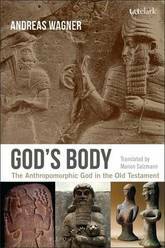 Images of the body in ancient Near Eastern civilizations are radically different from body images today, which in turn creates significant consequences for our understanding of the biblical notion of God's human shape and the frequent and widespread misconceptions therein. Andreas Wagner illuminates such frequent and widespread misconceptions, and reveals the sometimes distant pictorial world of ancient body images. He contrasts these with contemporary models and makes the matter of the Old Testament concept of God's human form accessible and clear. Wagner begins by introducing readers to aspects of anthropomorphism, the study of body parts, and Israel's basic understanding of the human body. He then turns specifically to the body of God, analysing why and how certain body parts are emphasized or regularly employed in the biblical text when it tries to describe God. Wagner draws out the theological aspects of the ways in which God's body is described as well as considering the diverse range of ancient Near Eastern perspectives on God, and the ways in which ancient cultures constructed and understood deities. Wagner concludes by looking at how the depiction of God in the Old Testament fits with the concept of mankind made in God's image. Enhanced by over fifty illustrations, God's Body will lead the debate in biblical anthropomorphism for years to come. Critical studies and analyses of space are becoming increasingly common in scholarship, although it is not always clear how such studies proceed, what theoretical works inform them, or what are their potential benefits for biblical studies. This volume helps address those questions, by including the work of biblical scholars working in a range of historical periods and locations, from Deuteronomy's idealized spaces to the Qumran community on the shores of the Dead Sea. 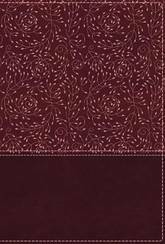 Each of the scholars in this volume is actively involved in the critical study of space, having presented work on this topic in regional, national, or international meetings of the Society of Biblical Literature. The essays included in this volume combine theoretical and interpretive concerns in the analysis of texts from the Hebrew Bible and the Dead Sea Scrolls. 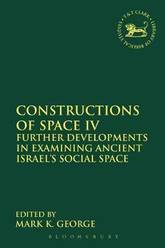 Scholars in Biblical Studies, Archaeology, Religious Studies, and Anthropology will find this to be a valuable resource for gaining new understandings of the critical study of space in antiquity. 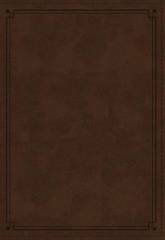 This volume fills an important lacuna in the study of the Hebrew Bible by providing the first comprehensive treatment of intertextuality in Job, in which essays will address intertextual resonances between Job and texts in all three divisions of the Hebrew canon, along with non-canonical texts throughout history, from the ancient Near East to modern literature. Though comprehensive, this study will not be exhaustive, but will invite further study into connections between Job and these texts, few of which have previously been explored systematically. 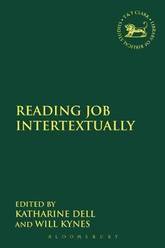 Thus, the volume's impact will reach beyond Job to each of the 'intertexts' the articles address. As a multi-authored volume that gathers together scholars with expertise on this diverse array of texts, the range of discussion is wide. The contributors have been encouraged to pursue the intertextual approach that best suits their topic, thereby offering readers a valuable collection of intertextual case studies addressing a single text. 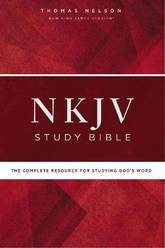 No study quite like this has yet been published, so it will also provide a framework for future intertextual studies of other biblical texts. Over the past four decades, many scholars have focused on the expanding collection of alleged extra-canonical documents that were deemed inspired by God in numerous early Jewish and Christian groups. Eventually, these texts ceased to have an authoritative role in Judaism and Christianity and were branded extra-canonical. Now, these documents, once considered sacred, are recognized as fundamental in understanding antiquity, and the development of the canon. 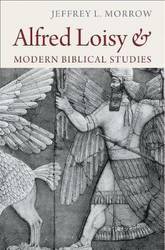 Many scholars are now according an authority to some of these texts This volume draws attention to these ancient religious texts, especially the so-called non-canonical texts, by focusing on how they were used or functioned in early societies. The contributors also warn us about the assumed barriers between canon and extra-canon, texts and traditions, and they suggest that we should be careful with labels such as Jewish and Christian. The contributors also indicate, intermittently or implicitly, the importance of combining disciplines that had been isolated, especially the study of texts, the exploration of the canonical process, and the relevance of sociology in studying ancient groups. 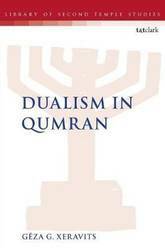 This is an assessment of dualistic thinking in the Qumran material written by leading contributors in the light of two decades of Qumran research. The importance of dualistic thinking within the Dead Sea Scrolls has always been emphasised in Qumran Studies . Nevertheless, in the last two decades the research on Qumran dualism seems to have been on the margins of scholarly interest. The main result of contemporary research in this area is support for the conviction that one cannot postulate compelling doctrines in the 'theology of Qumran' - the group did not want to develop a sophisticated doctrinal system; rather, they collected and mediated various aspects of the theology of their times. Since virtually all the Qumran material has been published, it is now apposite to evaluate several oft-debated topics of scholarly research. The theme of 'dualism in Qumran' is one such area in need of fresh investigation. 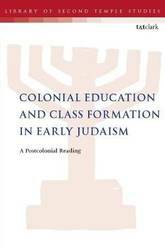 The contributors of the present volume begin this work and open up new fields that might stimulate further reflection on the problem, assessing such issues as: the origin of Qumran's dualism; the literary growth of the passages in question; and the social/ideological setting of the dualistic passages within the Qumran Library. The Library of Second Temple Studies is a premier book series that offers cutting-edge work for a readership of scholars, teachers, postgraduate students and advanced undergraduates in the field of Second Temple studies. All the many and diverse aspects of Second Temple study are represented and promoted, including innovative work from historical perspectives, studies using social-scientific and literary theory, and developing theological, cultural and contextual approaches. A combination of two classic discussions in New Testament scholarship, the contributions in this volume shed light on the still unsolved synoptic problem by using the well-coined concept of rewriting to describe the relationship between the synoptic gospels. The contributions work with the hypothesis that the synoptic tradition can be conceived of as a process of rewriting: Matthew rewrote Mark and Luke rewrote Mark and Matthew. This approach to the synoptic problem dismantles the grounds for the otherwise widely accepted two-source theory. 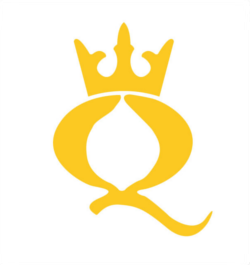 If it can be shown that Luke knew Matthew's Gospel the Q-hypothesis is superfluous. One group of articles focuses on the general question of Luke's literary relation to the other gospels. In these essays, the concept of rewriting describes Luke's use of his sources. The second part of the collection examines a number of texts in order to shown how Luke rewrites specific passages. In the final section the contributions concern Luke's relation to Roman authorities. 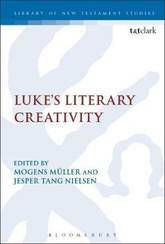 It is shown that Luke's literary creativity is not limited to his predecessors in the gospel tradition. Rewriting is his literary strategy. The story of Samson and Delilah in Judges 16 has been studied and retold over the centuries by biblical interpreters, artists, musicians, filmmakers and writers. Within these scholarly and cultural retellings, Delilah is frequently fashioned as the quintessential femme fatale - the shamelessly seductive `fatal woman' whose sexual treachery ultimately leads to Samson's downfall. Yet these ubiquitous portrayals of Delilah as femme fatale tend to eclipse the many other viable readings of her character that lie, underexplored, within the ambiguity-laden narrative of Judges 16 - interpretations that offer alternative and more sympathetic portrayals of her biblical persona. 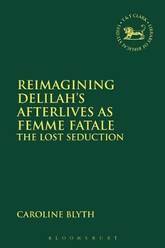 In Reimagining Delilah's Afterlives as Femme Fatale, Caroline Blyth guides readers through an in-depth exploration of Delilah's afterlives as femme fatale in both biblical interpretation and popular culture, tracing the social and historical factors that may have inspired them. She then considers alternative afterlives for Delilah's character, using as inspiration both the Judges 16 narrative and a number of cultural texts which deconstruct traditional understandings of the femme fatale, thereby inviting readers to view this iconic biblical character in new and fascinating lights. 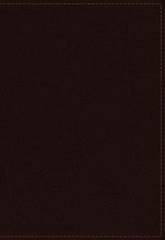 The contributors to this volume address the key institutions of the first and second Church, considering the development of rituals and sacraments, and the development of Church leadership, and of the Church itself. The first part of the book looks at the offices of the Church - the Apostolate and the development of other religious authorities - as well as the notion of Apostolic Tradition. The second part looks at the sacraments, with in-depth consideration of the Eucharist, and of Baptismal texts from the early Church. The essays are of interest to scholars researching the development of the early Church and of Church rituals and practices. 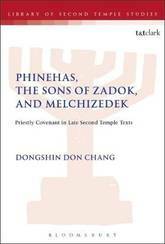 Dongshin Don Chang examines 1 and 2 Maccabees, the Dead Sea Scrolls, and Hebrews to see how the combined concepts of covenant and priesthood are defined and interlinked within various biblical and extra-biblical traditions. The three studies show the interesting and varying dynamics of the use of combined concepts of covenant and priesthood. The articulations of the two entities are shown to reflect, in part, the concern of the Second Temple Jewish authors; how significant the priestly institutions and priesthood were, not only in cultic matters, but also in relation to political and authoritative concerns. 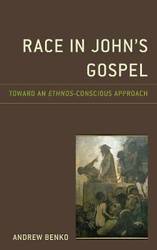 Chang's analysis makes clear that some of the Second Temple compositions have pursued ideas of the legitimacy of priestly identities by juxtaposing the concepts of covenant and priesthood from various traditions. Interpretation and representation of certain traditions becomes a way in which some Second Temple Jews, and some members of the early Jewish Christian communities, developed their priestly covenantal identities. 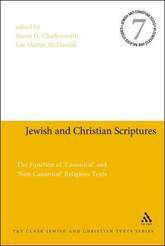 It is with an understanding of this, Chang argues, that we can better understand these Second Temple texts. Throughout the Hebrew Bible, strangers are indispensable to the formation of a collective Israelite identity. 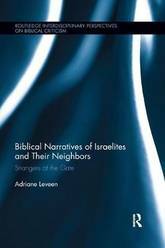 Encounters between the Israelites and their neighbors are among the most urgent matters explored in biblical narratives, yet relatively little scholarly attention has been paid to them. This book corrects that imbalance by carrying out close readings of the accounts of Israel's myriad interactions with the surrounding nations. The book follows the people of Israel after they leave Egypt, as they wander in the wilderness, cross over into the land, become a unified people Israel and face explusion from that land. 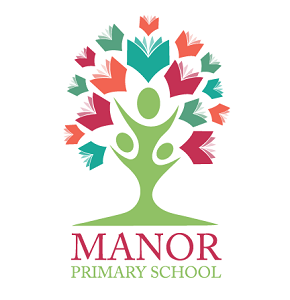 The introduction lays the groundwork for a literary reading. Each chapter that follows highlights a distinct people and the issues that they create. For example, Jethro, father-in-law of Moses and a Midian priest, provides a model of collaboration, while Samson's behavior triggers a cycle of violent retribution. These engaging stories illustrate the perceived dangers of idolatry and military oppression, but also convey lessons in governance, cultural innovation and the building of alliances. This book is vital reading for Biblical scholars and interested readers who want to deepen their understanding of the Israelites' relationship with neighboring peoples. 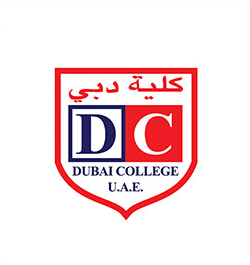 It will also be of keen interest to academics who work in ancient history and culture. One hundred and fifty years of sustained archaeological investigation has yielded a more complete picture of the ancient Near East. 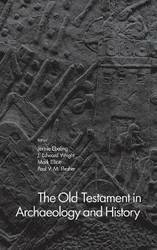 The Old Testament in Archaeology and History combines the most significant of these archaeological findings with those of modern historical and literary analysis of the Bible to recount the history of ancient Israel and its neighboring nations and empires. 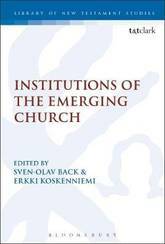 Eighteen international authorities contribute chapters to this introductory volume. 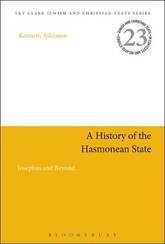 After exploring the history of modern archaeological research in the Near East and the evolution of biblical archaeology as a discipline, this textbook follows the Old Testament's general chronological order, covering such key aspects as the exodus from Egypt, Israel's settlement in Canaan, the rise of the monarchy under David and Solomon, the period of the two kingdoms and their encounters with Assyrian power, the kingdoms' ultimate demise, the exile of Judahites to Babylonia, and the Judahites' return to Jerusalem under the Persians along with the advent of Jewish identity.Each chapter is tailored for an audience new to the history of ancient Israel in its biblical and ancient Near Eastern setting. The end result is an introduction to ancient Israel combined with and illuminated by more than a century of archaeological research. The volume brings together the strongest results of modern research into the biblical text and narrative with archaeological and historical analysis to create an understanding of ancient Israel as a political and religious entity based on the broadest foundation of evidence. 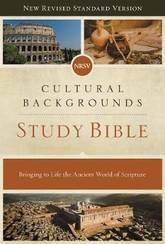 This combination of literary and archaeological data provides new insights into the complex reality experienced by the peoples reflected in the biblical narratives.